It's been a tough couple of weeks, and I wouldn't know where to start complaining if you'd ask me. But you don't ask, so I won't start. Besides, I had an epiphany this afternoon while engaging in a chore I came to enjoy: walking my daughter's dog. I don't own any pets, but do take care of the cat and dog of my two daughters. So, while walking, and struggling with a sense of self-pity that has been trying to overwhelm me for the last two weeks, I decided to open my eyes for real – not just literally, but mentally, emotionally and spiritually, and take a good look at my life -- a look at my current circumstances. I could've been hit by a car, but I wasn’t, so I'm fortunate, I can say. I could've been smashed by a crashing plane, but they stayed up today. Some lunatic could have shot me down, but I was spared that plight. A meteorite could have dropped from the sky, but none was in sight. An earthquake could’ve rattled me to death, but there was no shake. But instead I finished my stroll and returned safely to my sanctuary. That would have forced me to quit my frenzy and take a mindful pause. So I'll quit puckering about futile setbacks, and happily continue my way. Last week I threw my back out. The only way that could have happened is during my sit up exercises, which I just restarted after years of idleness in that regard. Now, that back problem has never occurred before, so, aside from hemming and hawing about old age and all the physical challenges it brings, I wasn't sure what to do about it. For two days I struggled with shooting pains in my lower back, almost unable to even do my work behind the computer. 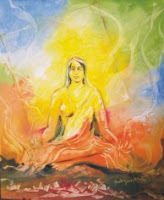 And then I remembered my visit to India in 2008 and the Vipassana meditation I came to practice ever since. I usually meditate to keep myself composed, to see things in a different light, to distance myself from the defilements of daily life such as holding grudges, feeling victimized, developing a sense of entitlement, getting agitated, wallowing in self-pity, and other dismal emotions. My meditation helps me understand so many things that would disturb me in the past: people who are difficult, demanding, or downright mean, for instance. Before I would wonder why I had to endure these characters on my path. Now I understand their purpose of being teachers in my life, along with the fact that they have a problem which I can choose to make mine or not. So I simply learn my lessons, feel compassion for them, and move on. I landed in the most beautiful place, all white and soft, as if I was in a huge soursop with endless pathways, indulging in gentleness. When I got out of my meditation, I was pleasantly surprised to find that the strain in my lower back was gone. Still slightly skeptical, I paid close attention in the following days, but I only felt very faint pressure, which faded immediately when I started focusing on the spot. This morning, I was able to do what I had doubted all week: my 3-mile Sunday morning walk. So, what can I say? You don't have to try it if you don't believe in it, of course. No one will force you or get upset if you take all of this with a huge grain of salt. But what I realized once again in the past few days is that we, modern day's human beings, have forgotten much of the wealth and capabilities we were born with. Finding answers and healing ourselves are just some of them. We have become externalizers: we count on everyone and everything else for advice, healing, and general well-being. Our internal locus of control is smaller and weaker than ever. And meditation can help to strengthen and expand it. I hope I won’t forget this again the next time I need pain relief. 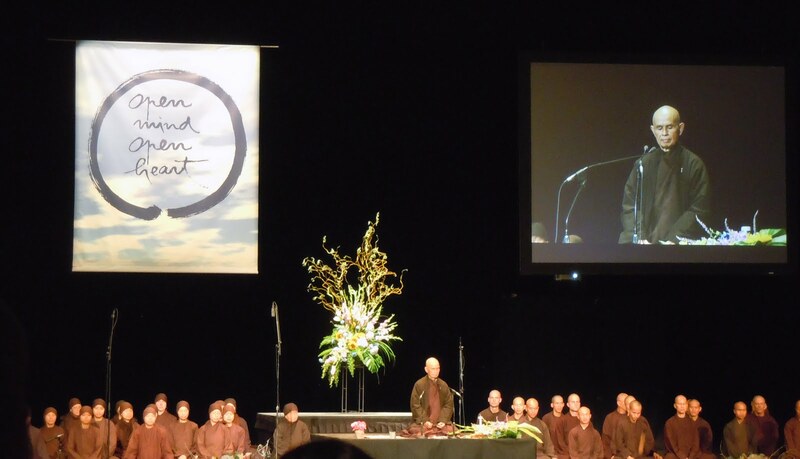 On September 3 2011, I attended Thich Nhat Hanh's Dharma talk in Pasadena's Civic Auditorium, and listened, along with thousands of others to a number of powerful thoughts, which we may all be aware of, but often choose to ignore. In his calm and simple way, Thich explained the importance of understanding. When we understand, we may safeguard ourselves from a lot of unnecessary suffering. 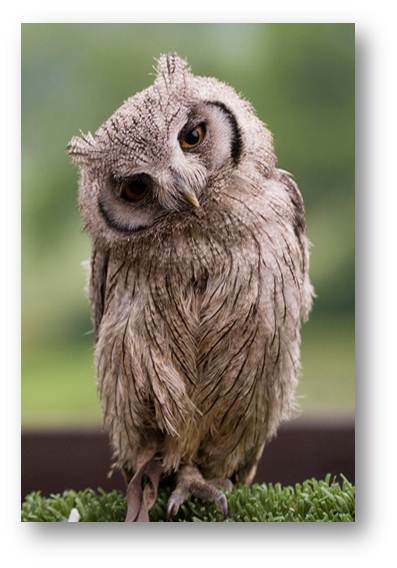 Often, when we are at work, we feel offended by things others say or do. Thich compared this emotion to a first arrow: it is often unexpected, and it hurts. But if we dwell too long on what happened, and choose to give rise to negative emotions such as anger and spite, we actually shoot off a second arrow to ourselves, and this time it will not hurt twice as much, but ten times or more! If we understand that many of the things others do are a result of their own fears or ignorance, we may become aware of their suffering, and understand the reasons behind their actions. This is how we outgrow the issue, and move on without too much disruption. Thich further explained that suffering is universal, and that it serves a purpose. Everything does! We cannot understand happiness if we don't understand suffering. As an example, Thich mentioned the beautiful lotus flower, which grows in mud. If you think of it, a lotus flower consists only of non-lotus components. Air, sun, water... they all contributed in making the lotus come into being, so they are all in the lotus, even if we don't see them. So the mud, in which the lotus grows, is also in the lotus. Our suffering is like mud, and our happiness like the lotus. In order to fully appreciate and understand our happiness, we need to understand our suffering. When we understand our suffering, we learn about its roots and can do something about it. Many people think they can only achieve happiness when they have achieved certain things in their lives, and that is a great part of their suffering. Many people also think that they can only be happy if their suffering entirely ceases to exist. "If God says, 'Let there be light,' then light will say, 'I have to wait.' And if God asks, 'what for? ', then light will say, 'I have to wait for dark, because without dark, I cannot be. We inter-are'." If we consider the interbeing of all things, we can make the quality of our lives and those around us much better, live more peacefully, and find happiness here and now.